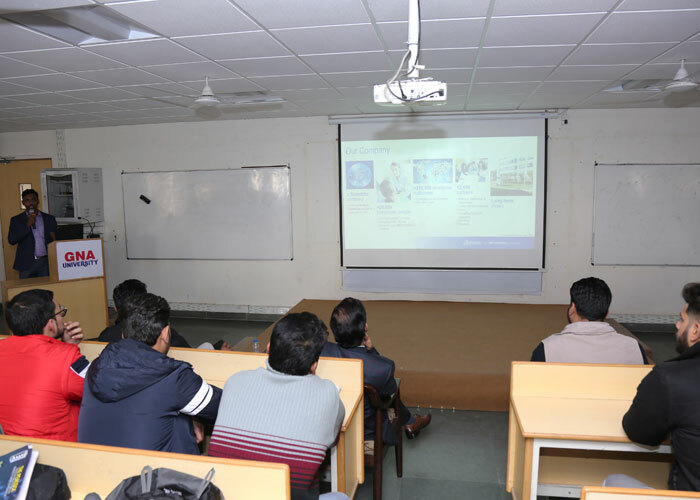 GNA University Faculty of Engineering, Design and Automation organized an expert talk on opening new horizons with 3D Experience by Mr. Antaryami Mishra Manager Education Partner Sales- Dassault Systemes (India). More than 150 students of B.Tech Mechanical & Automation, Aerospace engineering and Post Diploma in CAD/CAM attended the seminar. The main focus of Seminar was comes as part for bridging the gap between the industries and the academia. This eloquent speaker spearheads the learning vertical of Dassault Systemes in India. He has been working with Dassault Systemes at various capacities since the year 2012. Dassault Systemes is also working with Govt. of India's Make in India initiative to add another milestone in the growth of Indian Manufacturing Industries. Dassault is 3D experience company that develops 3D Design, 3D Digital mock up and Product life management (PLM) Software. Mr. C.R. 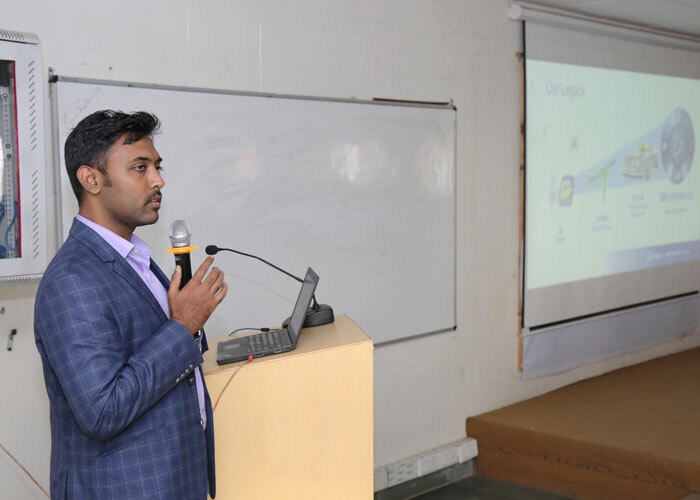 Tripathy, Dean- Faculty of Design and Innovation, discussed with Mr. Mishra that GNA is utilizing Dassault's Product CATIA from 10 years and to add latest features for the modern industrial requirements to give practical exposure to the engineering students. Interacting with the students Mr. Mishra surprised to know that students already have vast knowledge on CAD Technology along with knowledge of Automation Control Systems. He gives an industry insight to the students on the role of dassault systems in a 3D world of Design. Mr. Mishra applauds university's efforts and congratulated S. Gurdeep Singh Sihra, CEO – GNA Gears and Pro Chancellor – GNA University, for providing Industry Oriented blended academic curriculum to the budding engineers.